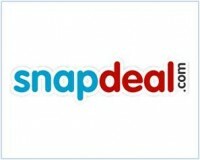 Snapdeal.com has entered into an exclusive partnership with Vishal Gondal's GOQii Inc. to launch GOQii's fitness device GOQii Life in the country. The device is a combination of advanced wearable technology, expert-led personalised coaching and elements of social philanthropy (karma) to enable users to make a permanent shift to a healthier and more fulfilling lifestyle. Besides Goqii.com, Snapdeal will be the only place where users can pre-book their subscription plans. As of now, the company is offering subscription for GOQii—which includes all elements of its ecosystem (including band, experts, coaching and karma)—for six and 12 months. Released in beta in India for a few early users, the plans are available for a price of Rs 5,999 and Rs 9,999 for the half-yearly and yearly packages, with deliveries starting as soon as April 2014. Customers of Snapdeal will be able to place orders for a GOQii subscription directly from the website. A complete plan includes proprietary GOQii band, GOQii Personal Coach service and GOQii app. The app will be available for both Android (+4.3 version) and iOS (6.0+) platforms, with a Windows version to follow. GOQii Life competes with Nike+ FuelBand, Fitbit Flex, and Jawbone Up. However, the human connection being offered by GOQii could end up working in favour of the company, since many users of similar products complain of losing interest in the devices over time. Headquartered in California, GOQii Inc. also has offices in Mumbai (India) and Shenzhen (China). It is backed by angel investors, including Amit Singhal (Google), Anil Godhwani (Habitera), Bharat Vasan (MyBasis), Esther Dyson and Goutam Godhwani (Simply Hired), Kanwaljit Bombra (Dell), Mahesh Samat (Epic), Mike McNamara (Flextronics), Prashant Gulati (TiE), Sanjay Parthasarthy (Indix), Sanjay Vaswani and Steve Luczo (Segate), Taher Khorakiwala and Vijay Vashee (Microsoft). In addition, the husband-wife duo of Dr Shriram Nene and Bollywood actress Madhuri Dixit-Nene has invested in the company. Last month, Snapdeal.com raised led by existing investor eBay Inc., with participation from other existing investors. The new round took the total funding in the company to $237 million across five rounds. It also forayed into services commerce by launching an education marketplace on its portal, which enables consumers to access a range of test preparation material, certificate courses, classroom training and online courses.